The World Day of Social Justice (WDSJ) is marked every year on 20th February across the world with an aim to identify the need to promote the efforts to manage several issues like exclusion, unemployment and poverty. The World Day of Social Justice main objective is social justice for all, its global mission is to promote development and human dignity. 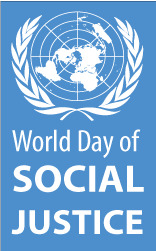 The World Day of Social Justice was first declared by the United Nations General Assembly in 2007 in accordance with the goals and objectives of the World Summit for Social Development. The theme for World Day of Social Justice is "Workers on the Move: the Quest for Social Justice". As per the report by UN, most of the migration today is linked directly or indirectly to the search for decent work opportunities. There are an estimated 258 million international migrants. The International Labour Organization (ILO) estimates that there are approx150 million migrant workers who account for 4.4 percent of all workers. Among migrant workers, 56 percent are men and 44 percent are women. Migrant workers account for 4.4 percent of all workers and have higher labor force participation rates than non-migrants globally (73 percent and 64 percent respectively).